(Reuters) – European shares slipped on Thursday as weak earnings from Nokia and news of failed attempts at mergers added to a downbeat mood on renewed fears of a slowdown in global growth. The pan-European STOXX 600 index finished 0.2 percent lower after an eight-session rally in the benchmark index stalled on Wednesday. 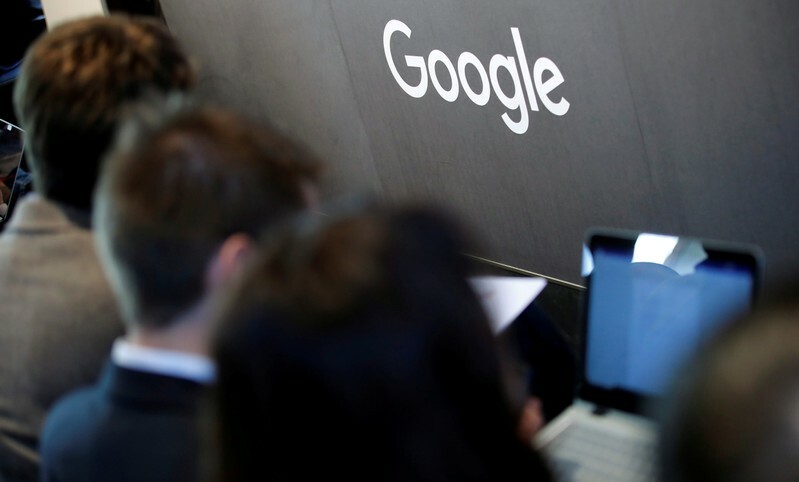 “The sizes of losses seem to be driven primarily by domestic news,” said Craig Erlam, senior market analyst at OANDA in London, pointing also to some profit-taking and softer earnings. 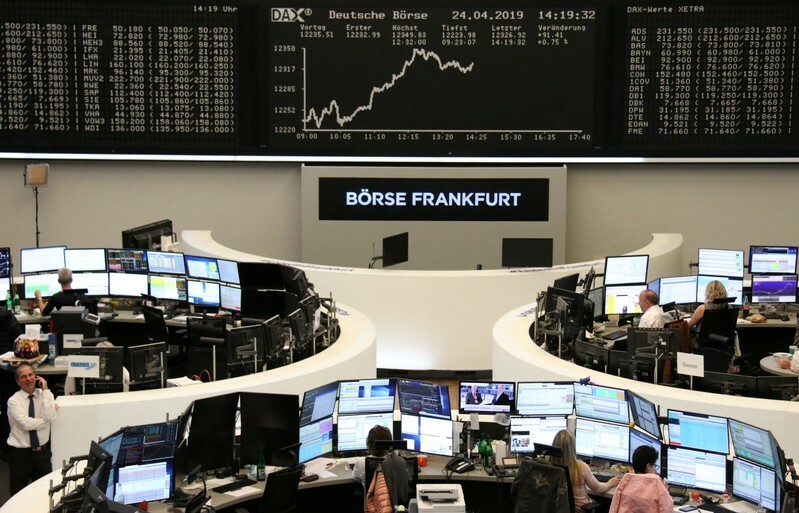 Most major country indexes in the region ended significantly lower, with London’s FTSE 100 down 0.5 percent while Frankfurt’s DAX broke a nine-session winning streak with a 0.25 percent decline. But not all earnings were bad. Stocks in Madrid and Zurich got a headwind from strong earnings at wind energy producer Iberdrola and lender UBS, respectively. Reigniting growth fears, data showed the South Korean economy unexpectedly contracted in the first quarter, while Chinese officials warned of protracted pressure on growth, a day after disappointing German Ifo sentiment survey exacerbated concerns about the euro zone’s economic outlook. Finnish telecom network equipment Nokia was the biggest drag on STOXX 600, sliding 9 percent and logging its sharpest decline in 18 months, after reporting a surprise quarterly loss. Nokia’s fall knocked the tech index 0.7 percent lower following the previous day’s 4 percent surge. Sainsbury’s slump after Britain’s competition regulator blocked its proposed 7.3 billion pound ($9.4 billion) takeover of Walmart-owned Asda, and homebuilder Taylor Wimpey’s warning on lower full-year margins, weighed on London’s FTSE. The banking index shed 0.6 percent, weighed down by Barclays and Swedbank shares. Britain’s Barclays slipped after reporting a 10 percent drop in quarterly profit, as its under-pressure investment bank struggled with tough markets. Swedbank fell after posting an estimate-beating first-quarter profit as the Swedish lender admitted to previous shortcomings in combating money laundering. However losses were tempered by Switzerland’s biggest bank UBS advancing after its first-quarter results surpassed analyst expectations, a day after smaller rival Credit Suisse also posted strong results. The gains helped Swiss shares buck the gloom and close 0.4 percent higher. Meanwhile, wind energy producer Iberdrola’s 4.3 percent jump after it raised its 2019 guidance for net profit and dividend growth, helped Spanish stocks outperform. “Equity markets are very much driven by the earnings season and as there are mixed numbers are coming in, investors are taking a little bit of cautious approach,” Naeem Aslam, chief market analyst at TF Global Markets (UK) Ltd in London. Shares of Swiss drugmaker Novartis was the biggest boost to the pan-region index, after Guggenheim upgraded the stock, while many other brokerages raise price target after the drugmaker posted higher first-quarter profit and raised 2019 profit target. German heavyweight Bayer rose after the drug and farming supplies company posted a 45 percent gain in quarterly core earnings on the back of seed maker Monsanto’s acquisition. Semiconductor maker ASM soared about 10 percent after beating first-quarter targets, while Germany’s Dialog Semiconductor rose more than 2.5 percent after forecasting higher than anticipated profits in the first quarter. In the wake of the failed merger talks between Deutsche Bank and Commerzbank, a deal that had faced fierce opposition from the workforce, Deutsche shares dipped 1.5 percent while Commerzbank slipped 2.3 percent. 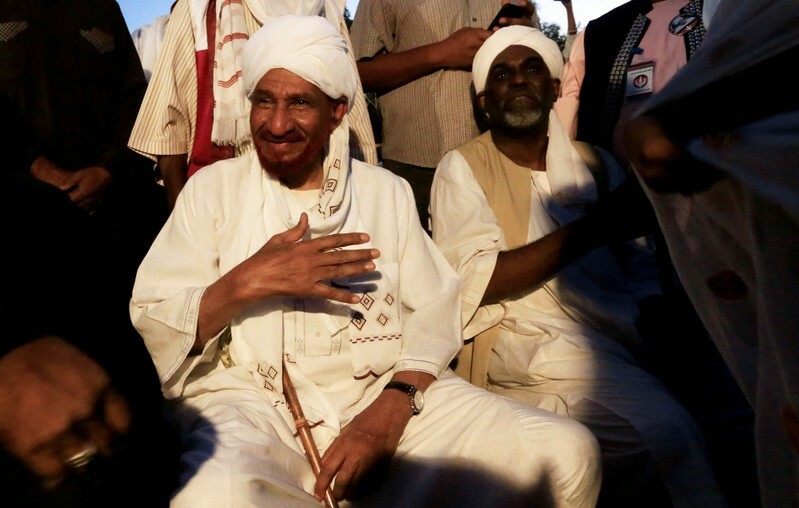 KHARTOUM (Reuters) – Sudan could face a counter coup if military rulers and the opposition do not reach agreement on a handover of power to civilians, leading opposition figure and former prime minister Sadiq al-Mahdi said on Thursday. Mahdi, Sudan’s last democratically elected premier, said hardliners in ousted president Omar Hassan al-Bashir’s National Congress Party (NCP) and its allies in the army would try to exploit the uncertainty to seize power. “For them to attempt a counter coup is most probable. All the time they are conspiring,” Mahdi, 83, said in an interview with Reuters at his sprawling villa surrounded by gardens in the capital Khartoum. Mahdi, who studied at Britain’s Oxford University, was himself overthrown in a bloodless coup by Bashir in 1989. Bashir fell after weeks of mass demonstrations and the Sudanese Professionals’ Association, the main protest organizer, called for a million-strong march to take place later on Thursday to press for civilian rule. Mahdi predicted that Sudan’s generals would relinquish power if the current stalemate were broken. “I think their intentions are good,” he said of the senior army officers who overthrew Bashir on April 11, three decades after he himself seized power, and then formed the TMC. “They are not interested in a military government,” he said, an outcome which the African Union has said would be unacceptable. The spokesman for Sudan’s ruling Transitional Military Council (TMC) said later on Thursday it would retain “sovereign authority only” while civilians hold the post of prime minister and head all government ministries. On Wednesday, the opposition and the TMC agreed to form a committee to resolve their disagreements, amid tensions over how long it would take to move to civilian government in Sudan, where widespread impoverishment has been entrenched by systemic financial mismanagement, corruption and cronyism. The generals have offered some concessions, sacking some officials, announcing the arrest of others, including two of Bashir’s brothers, and ordering steps to curb fraud. But they have insisted that, while they are willing to accept a civilian transitional government, ultimate authority will remain in their hands until elections are held up to two years from now. As two bodyguards stood by, he reflected on the turbulent history of Sudan under Bashir including multiple armed rebellions, economic crises and allegations of war crimes in Darfur, Mahdi recalled what he said was the day that the Islamist Bashir began leading Sudan to failure. After Mahdi was initially jailed, he said he was taken to a what he described as a ghost house. Three men confronted him. He refused. “They took me back to an execution cell.” For the next two years he was jailed and put under house arrest. Mahdi said he had met with intelligence chief Salah Gosh and acting NCP chairman Ahmed Haroun on April 10, the day before Bashir was ousted, after they asked to see him. The two men threatened to use force to disperse a protester sit-in outside the Defense Ministry, he said. Mahdi said he told them he would join the sit-in to help protect the protesters. “At this point Haroun said, ‘You will not find them because they will be crushed,’” said Mahdi. Reuters could not independently verify this account. Gosh could not be reached for comment, while Haroun was arrested and jailed after Bashir’s removal. Bashir is now languishing in the same, high-security Kobar prison where he sent Mahdi 30 years ago, and where the veteran autocrat held thousands of political detainees. “Kobar is a collection of who’s who in Sudanese politics,” said Mahdi. 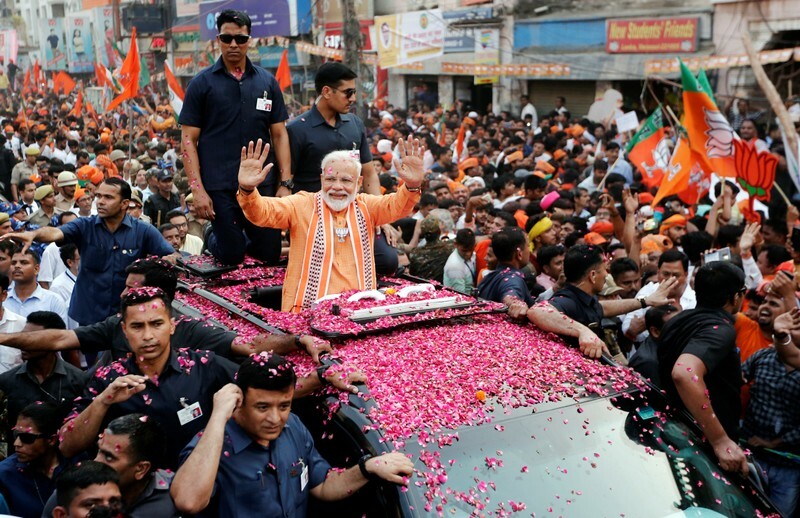 VARANASI, India (Reuters) – Prime Minister Narendra Modi staged a show of strength on Thursday in his home city of Varanasi, one of the most sacred places for India’s majority Hindu population, as the country’s 39-day staggered general election neared its mid-point. Dotted with ancient temples and sitting on the banks of the Ganges river, Varanasi was one of two seats that Modi fought and won at the last election in 2014. He has so far chosen to represent Varanasi in parliament and is not likely to pursue any other seat. Surrounded by tens of thousands of supporters, Modi, who is seeking a second term as premier, bowed to the crowd with folded hands from an elevated podium. He then toured the city in an SUV, standing to greet supporters through the sunroof. His security forces prevented the crowd from getting too close even as the vehicle moved slowly through the narrow alleys. Modi was accompanied by senior BJP leaders, including the party President Amit Shah and Yogi Adityanath, the chief minister of Uttar Pradesh, where Varanasi is located. The northern state is India’s most populous and has the largest number of MPs. In 2014, the BJP won 71 seats there out of 80. Modi is expected to file his nomination papers on Friday. 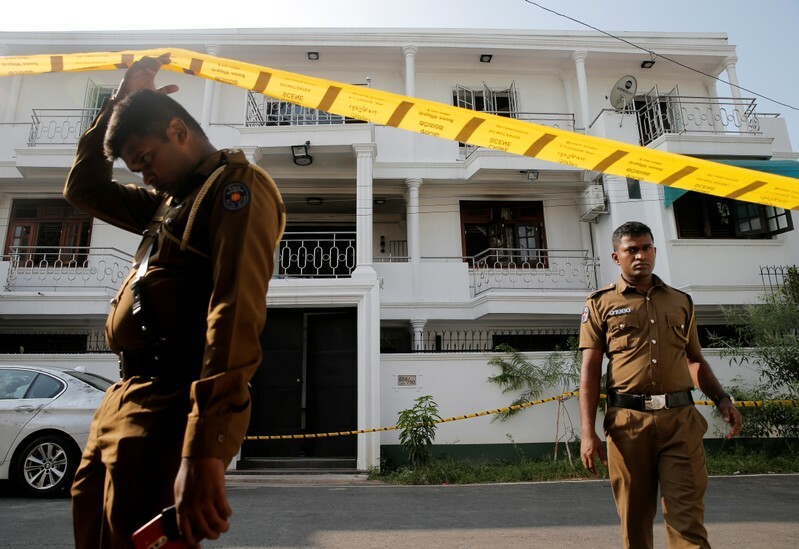 India’s election is being held over 39 days from April 11 to May 19, with votes due to be counted on May 23. Varanasi will vote on the last day. Modi’s supporters talked up his achievements in bringing clean water, sanitation and electricity to more of India. 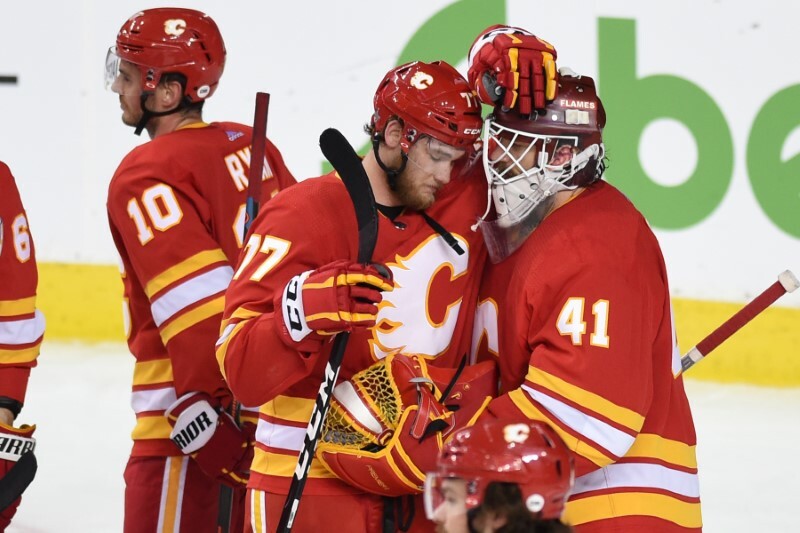 “The city has become clean. There is electricity 24 hours now, and there is water,” said 55-year-old Shyam Narayan Naik. “No other party will be able to win here,” added Narayan, who runs a textile shop in the city that was shut on Thursday as Modi’s 5 kilometer-long roadshow passed by. The city was decorated with BJP flags and saffron-colored balloons. Sounds of drums and songs praising Modi grew louder as the prime minister arrived. Supporters wore “Namo Again” t-shirts or masks with Modi’s photograph, while others dressed as Hindu gods and goddesses. “I think this time he’s trying to send the signal that he’s now far more confident, he doesn’t need the Gujarat seat and therefore he’s standing only from UP,” said Sudha Pai, referring to the other seat Modi won and gave up in 2014. Pai, a former political science professor at New Delhi’s Jawaharlal Nehru University, closely tracks politics in Uttar Pradesh. 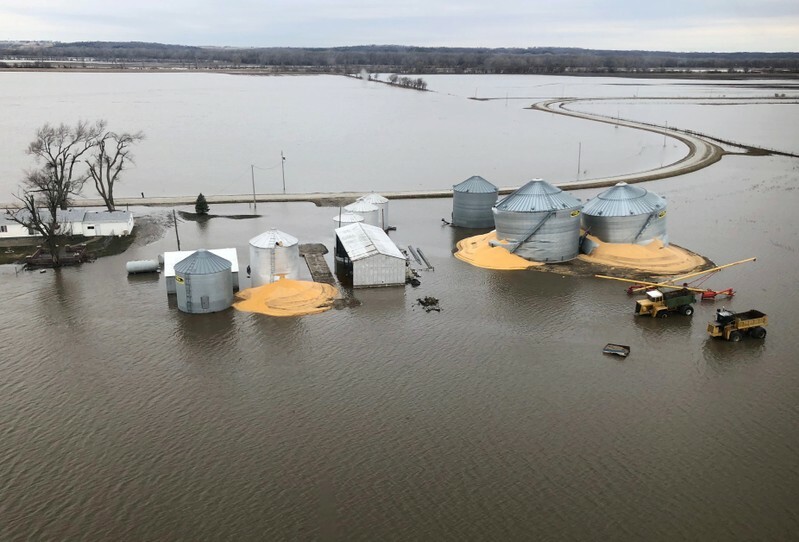 But weak jobs growth, distressed farm incomes because of low crop prices, and charges of economic mismanagement have boosted the opposition. And in Uttar Pradesh, two formidable regional parties have allied to take on the BJP. Modi often refers to “Mother Ganga” in his speeches, and his government has committed nearly $3 billion of funds to a five-year clean-up of the heavily polluted sacred river. That program is due to be completed in 2020. But last year, Reuters found that only a tenth of the funds had been used in the first two years of the project. “It is what it was before. Nothing has changed. People are just using Modi to make money themselves,” said 70-year old Ramji, referring to the money spent on cleaning the Ganges. LONDON (Reuters) – After the euro’s slide to 22-month lows against the dollar, investors are scrambling to shield themselves from more weakness as Europe’s poor data contrasts with an upbeat U.S. economy that is sending the dollar surging. Options markets suggest investors this week bought sizeable downside protection against further euro weakness against the dollar, after the single currency broke below its 2019 low of $1.1170, a level that has opened the door to more selling. On Thursday, the pair traded as low as $1.1117, the lowest since May 2017. The dollar, meanwhile, soared against a basket of currencies as robust data on jobs and durable goods orders took its year-to-date gains to 2.2 percent. This week’s fall — more than 1 percent so far — follows a period of calm during which euro/dollar, the world’s most traded currency pair, has been stuck in its narrowest ever trading range. The tiny price fluctuations have frustrated investors keen on volatility and clear direction. The Federal Reserve’s dovish shift at the start of 2019 would normally have hurt the dollar. But the Fed move was followed in March by the ECB’s decision to push back further planned interest rate rises. Since then, euro zone business surveys have pointed to further gloom, with a widely-watched German business climate index showing deteriorating morale in April. The U.S. economy, on the other hand, appears to be blooming; latest data showed new orders for U.S.-made capital goods increased by the most in eight months, while U.S. first-quarter growth could be as much as 2.4 percent, according to some estimates. Until now, investors have had to pay relatively little to protect their portfolios against a euro downside, because currency volatility has been so low and few were buying options. But that has changed – forex dealers said that a swathe of options were bought on Thursday giving holders the right to sell euros for $1.1000, including one for 500 million euros. The market is already heavily long dollars, with speculative investors holding their biggest short position in euros since December 2016, CFTC data indicates. One-month implied volatility – a gauge of expected price moves – has also jumped, after threatening to hit record lows only last week. 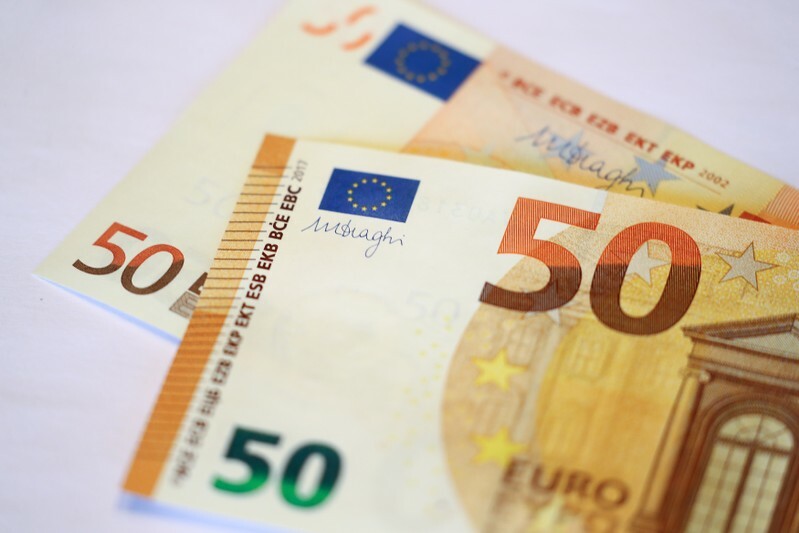 Euro/dollar volatility is likely to be boosted by the run-up to the May 23 European parliamentary elections, where populist parties could make a strong showing by tapping into anger about public expenditure cuts and income inequality. Of course, not everyone believes the euro will spiral lower. Societe Generale analyst Kit Juckes, for instance, said the dollar – supported by an interest rate advantage of at least 70 basis points above its main economic competitors – was expensive, while the euro looked cheap. “The risk, then, is that, having broken through the bottom of the recent euro-dollar range, all we do is add another coat of paint to the bottom of it, and settle into a marginally lower range,” he said. But $1.10 is not unknown territory for the euro, which spent much of 2016 and 2017 below that level. 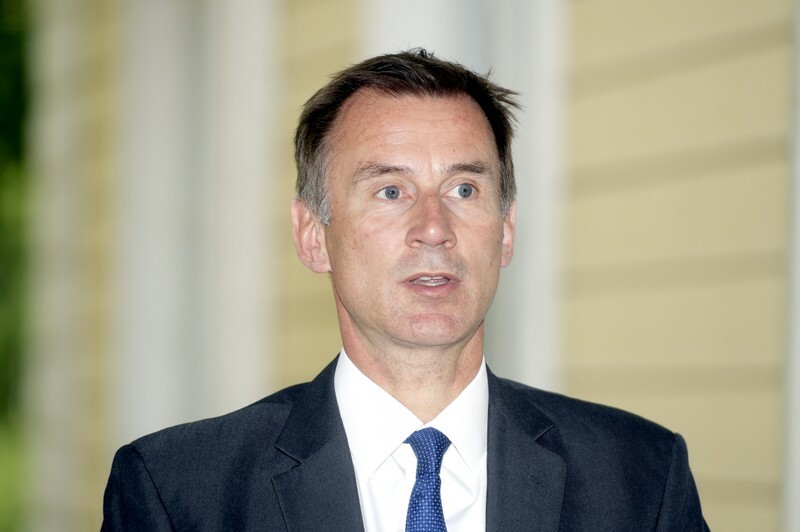 LONDON (Reuters) – British foreign minister Jeremy Hunt said on Thursday he would choose leaving the European Union with no deal if he was presented with the choice between no Brexit or leaving without an agreement with the bloc. Hunt told reporters that he believed the democratic risks of “no Brexit”, or Britain failing to leave the EU after the 2016 referendum, were higher than the risks of leaving without an agreement, something businesses say would hurt the economy. 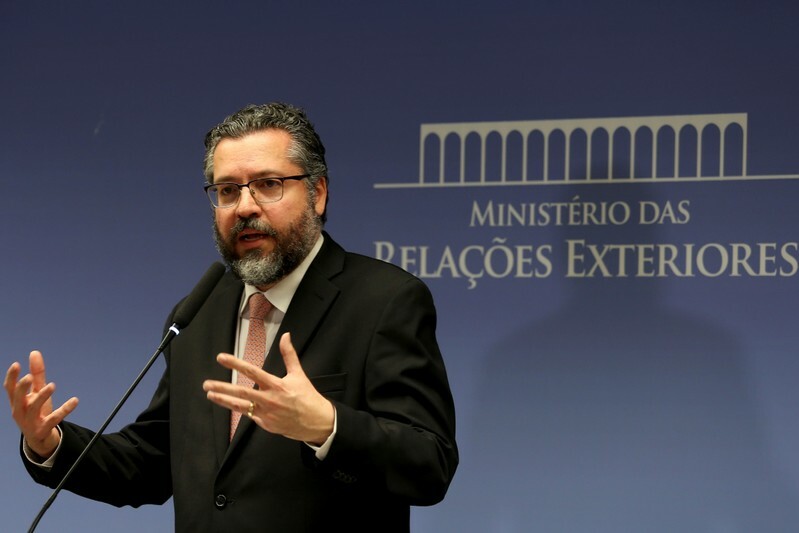 BRASILIA (Reuters) – Brazil’s Foreign Minister Ernesto Araujo said on Thursday that the country must work with China to reduce non-tariff barriers to agriculture trade. Speaking to an event on Brazil-China cooperation in the farm sector, Araujo said that the two countries must fine tune the process for Chinese approvals for genetically modified agricultural products.